The Macanese Youth Association (AJM in the Portuguese acronym) urges Macanese youth living abroad to take a more active role in leading local Associations (Casas de Macau) in their own cities and countries. That was the main message of Association president Duarte Alves during his speech, which took place before the screening of “Macanese Vibe” at an event yesterday evening at the Stanley Ho Auditorium of the Consulate of Portugal in Macau. Alves encouraged his audience, which comprised mostly youngsters in the region, to participate in ‘Encontro’ (Gathering of the Macanese Communities) of which this session was a part. The president of the Standing Committee of the Council of the Macanese Communities (CCM), José Luís Sales Marques revealed in his own speech that the session, usually dedicated to Macau’s youth, would be an important component that will become a permanent part of the program. 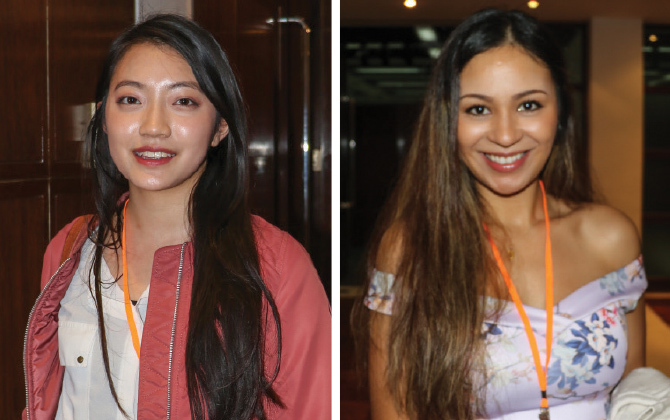 The event presented several video testimonies from young Macanese living around the world about their thoughts on being Macanese. The Times spoke with some participants on the sidelines of the event. One young woman, Lara, moved from the Philippines to Dubai, where she now works as a flight attendant. Related to the Macanese people through her stepfather, who settled in Vancouver, Canada, Lara said that she is a true fan of ‘Encontro’. “Every time I come to ‘Encontro’ I absolutely love it. Seems like the same people keep coming because we feel so much connection here and then there are new people as well and it is nice to meet them,” Lara said. In her opinion the region is “filled with a lot of culture and history, which is what I really like to see,” she said. I would like to start by saying how frustrated I felt about Encontro and the lack of Information and how to get details of the Event. There were nothing I could find anywhere, I then called The Macau Tourism Office, hoping to get an answer. I was asked how to spell it, E n c o n t r o, now, can you believe this??? I will continue at the Tourism Office’s Website. Reasons for this, I can reply directly and going Green.